It’s a little-known but impressive fact: Despite the rise and seeming ubiquity of e-commerce, a stunning 90 percent of consumer purchases are made in-store. That’s feet-on-the-street, brick-and-mortar, shopping cart, cash register, old-school type buying. Yet retailers and CPG (consumer packaged goods) brands still rely largely on print circulars to spur traffic and sales, despite off-the-cliff print media circulation. This week, I published research on the topic of how forward-looking retailers and brands can drive in-store traffic with digital media, most specifically with content marketing in digital channels. The full report, “From Web Traffic to Foot Traffic: How Brands and Retailers Can Leverage Digital Content to Power In-Store Sales,” is available here as a PDF download. Retailers and CPG brands aren’t having an easy time adapting digital marketing to their goals, particularly when it comes to creating seamless omni-channel customer experiences. We learned that only 60 percent of them have implemented strategies that are geared toward creating a local or in-store outcome, such as making a brick-and-mortar purchase. In fact, only 59 percent say driving an in-store sale is a goal. While nearly all of the 200 executives we surveyed recognize mobile’s growing importance — in fact, dominance — just half (51 percent) use mobile to bridge the online and offline customer experiences. Far fewer (37 percent) plan a seamless experience across channels, e.g., mobile, the Web, social media and in-store. What’s to blame for these strategic shortcomings? Measurement is one big problem. Most retailers and CPG brands still measure traffic and clicks in digital, rather than linking metrics and KPIs to desired outcomes, such as foot traffic and purchases. Their budgets are limited, and they’re unsure of where to invest the digital dollars they do have. “Local” is insufficiently defined, and it can be so much more than a ZIP code. It can mean proximity messaging via beacons and sensors, or it can be tied to a customer loyalty program to generate personalized offers or promotions on-site, such as coupons for items consumers repeatedly purchase. Additionally, retailers and CPG brands lack content strategy, as well as skilled digital talent and the interdepartmental ability to coordinate promotions, offers, content and advertising across paid, owned and earned media teams. So how can retailers and CPG brands make a shift and leverage their digital content to bolster in-store sales? Incentivize visits to retail locations, with features such as order online, pick-up in store and store returns. These can be used in addition to sales, coupons and other promotional activity designed to attract foot traffic. Be mobile first, or at least primary, when it comes to formulating a content engagement strategy. When it comes to reach and opportunities for right-time and location targeting, few channels are better than mobile. Leverage the mix of paid, earned and owned media to maximize value from the budget, and engage customers outside the usual realms. Think online-to-offline when mapping the customer journey. Rethink the print circular. While it can’t yet be wholly discounted, the circular can provide more value when used in conjunction with other modes of communication. Circular content can be amplified across online channels to reach customers where they are actually gathering information to make a decision, rather than remaining static in one medium. Plan for online cross-channel content with similar teams and processes that are in place for delivering offline content. This enables a coordinated strategy across paid, earned and owned channels, without having to start completely from scratch. Eliminate silos. The biggest challenge is to break down silos between departments and between channels. This makes it easier to get a unified effort for the best customer experience. Reconsider budget allocation to devote more towards digital spending, and identify the digital marketing tactics that give the most return on investment. Implement a measurement plan to track the effectiveness of local multi-channel campaigns. Discard vanity metrics like impressions to focus more on customer actions. 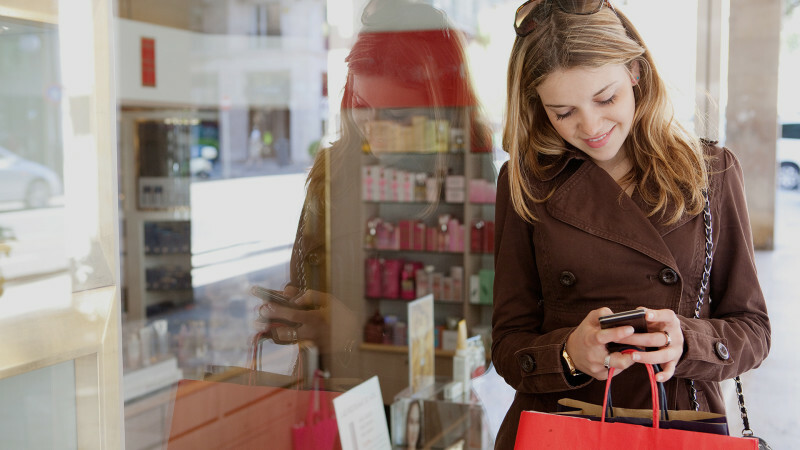 Leverage loyalty data to personalize/contextualize offers. Define local at every stage. Does it refer to a region, city, state or ZIP code? This can vary by the business, but also on a campaign level. More importantly, is “local” restricted only in the geographical sense, or can it be applied to Who, What and When, in addition to Where? Remain sensitive to customer privacy by not bombarding them with overly personalized messages. It’s important to balance relevance against creepiness.